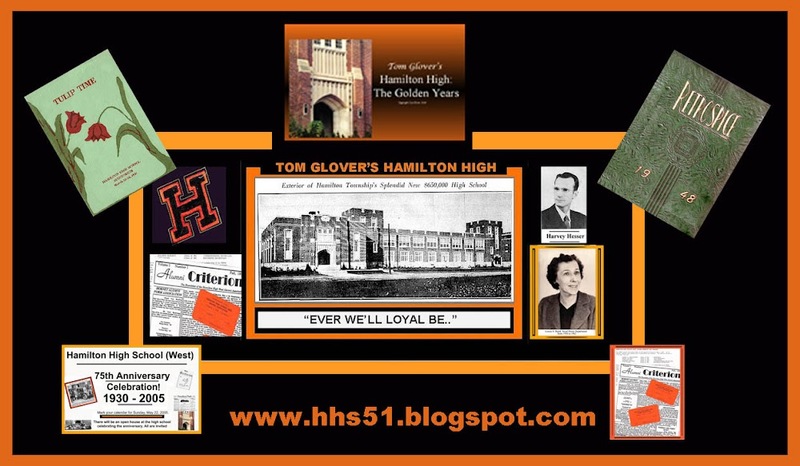 Over the years I have been quite active in tracking reunions from my era as an alumnus of Hamilton High school. 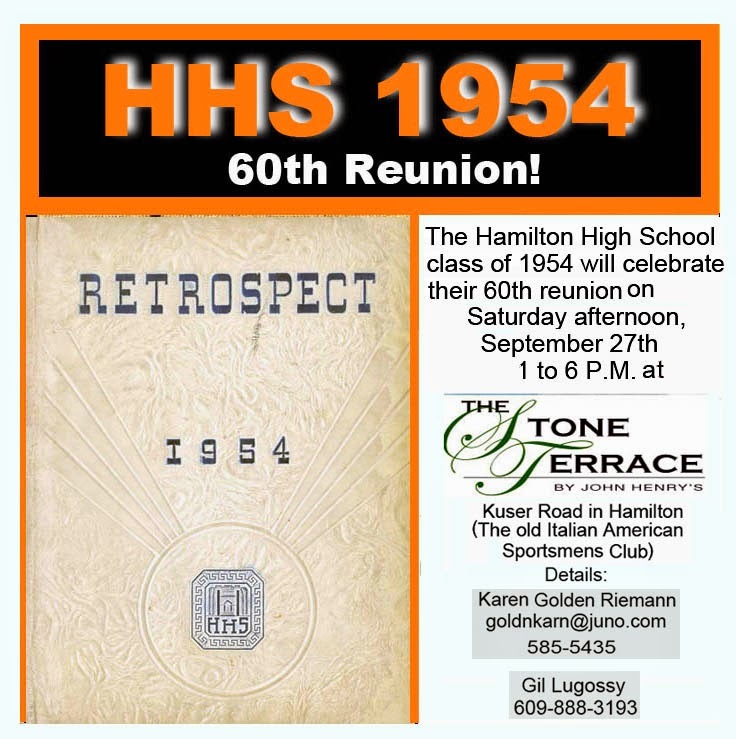 The 50th anniversary of HHS included my sister in law, Dolores Britton Paul and I was approached by Ms. Grace Wallace to publicize the event. I had a HUGE cardboard wall size display on which I posted memorabilia from that era. Look closely at the black and white graphics and you will see many memories of the 40's and 50's. One of the songs I sing at my numerous community singalongs is the Vince Gill classic, "Look at Us." 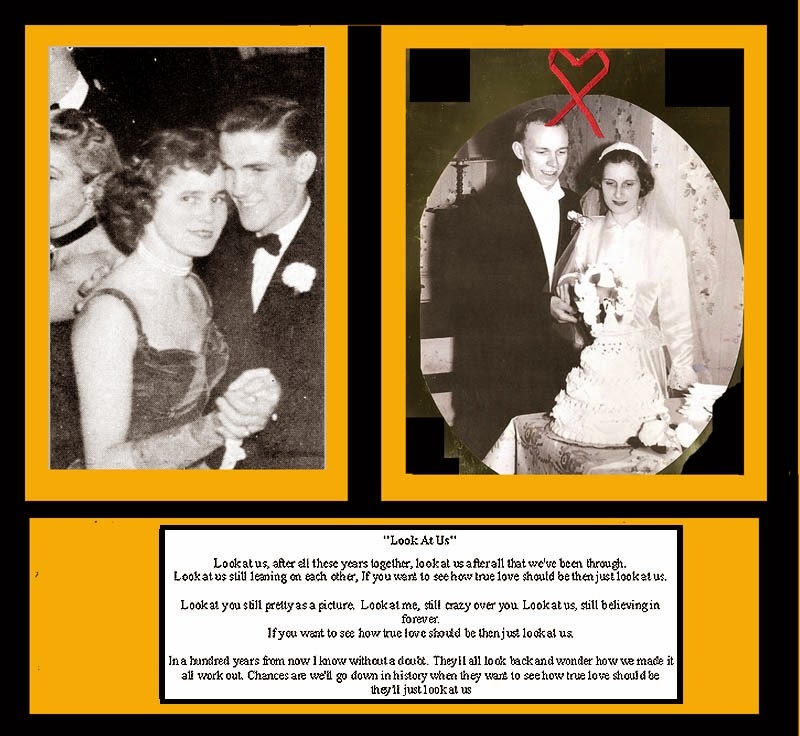 The lyrics are especially apropos to those of us who have married our high school sweethearts. 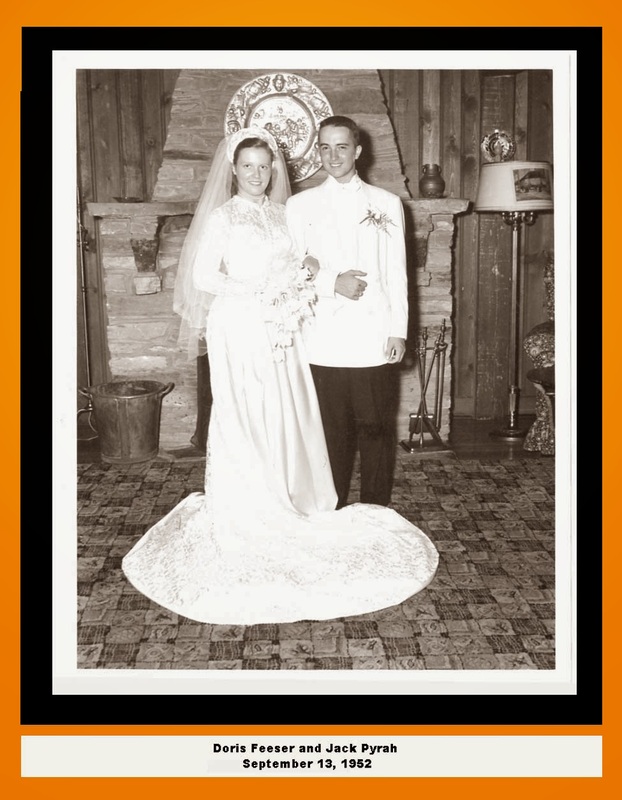 In my case, in my 61st year of wedded bliss. 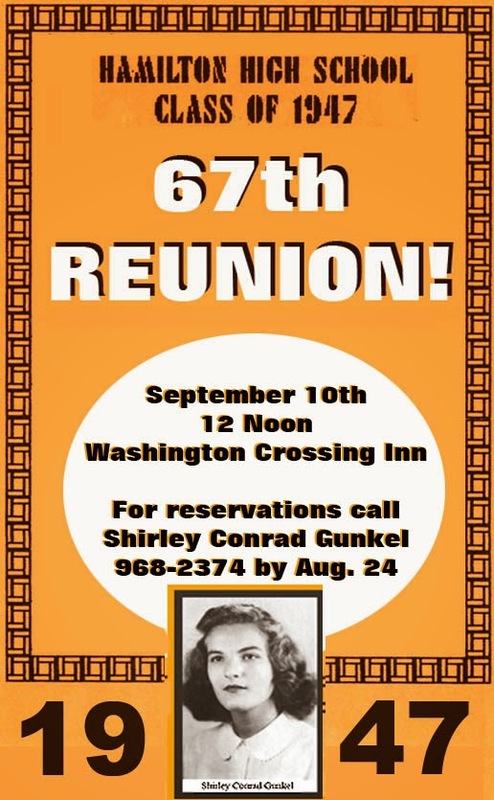 1947: SIXTY SEVENTH REUNION! SURVIVORS ALL! 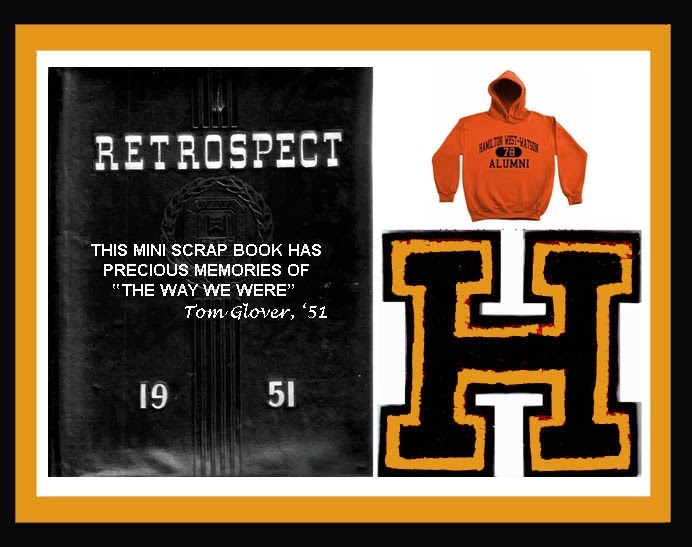 I saw the notice of HHS 1947's 67th reunion in yesterday's Trenton Times and am proud to post it on this website as well as www.glover320.blogspot.com and my Facebook pages. 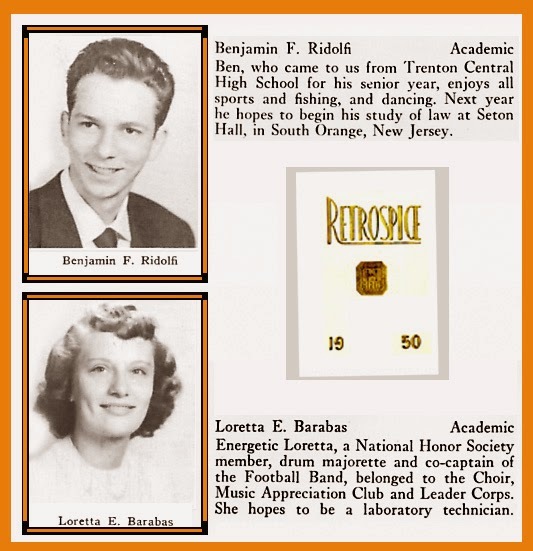 As I paged through that beautiful copy of "RETROSPICE," many old friends were pictured. Eddie Kamp, Clem Edmonds, Merrick Francis, etc. 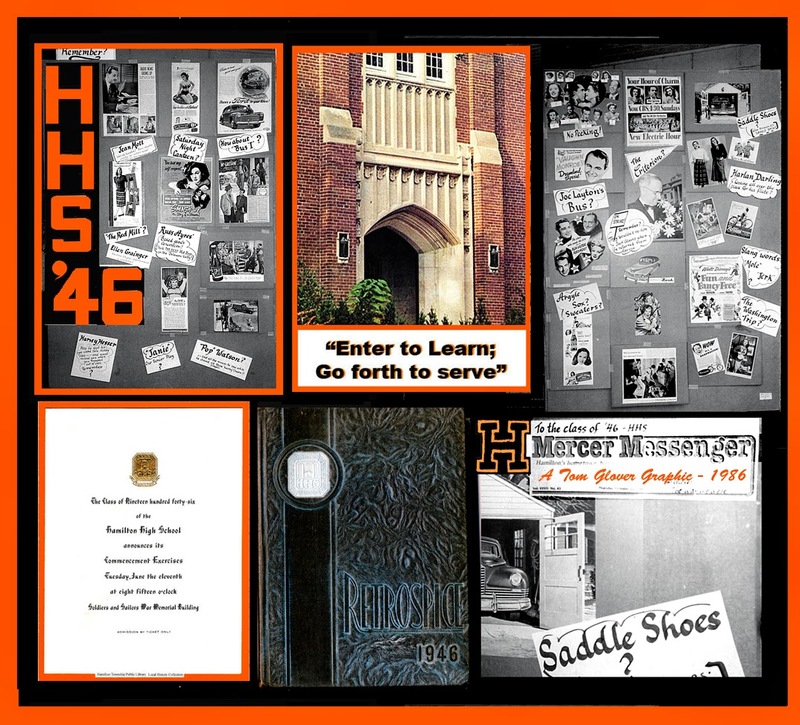 Having just attended my class of 1951 60th reunion, it warms my heart to see that the orange and black lamp still glows brightly for the class of '47. God bless all of you and may you all have a wonderful afternoon remembering those good times we had in the 1940-1950 era. 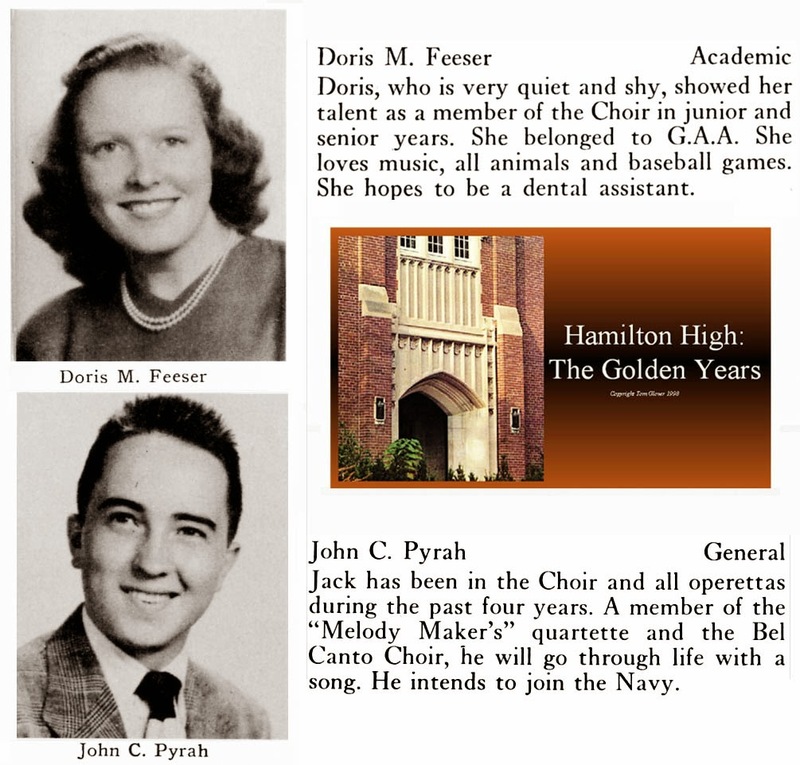 As I peruse my extensive collection of HHS yearbooks, find I am drawn to the years between 1948 and 1953 where many of my friends were contemporaries. 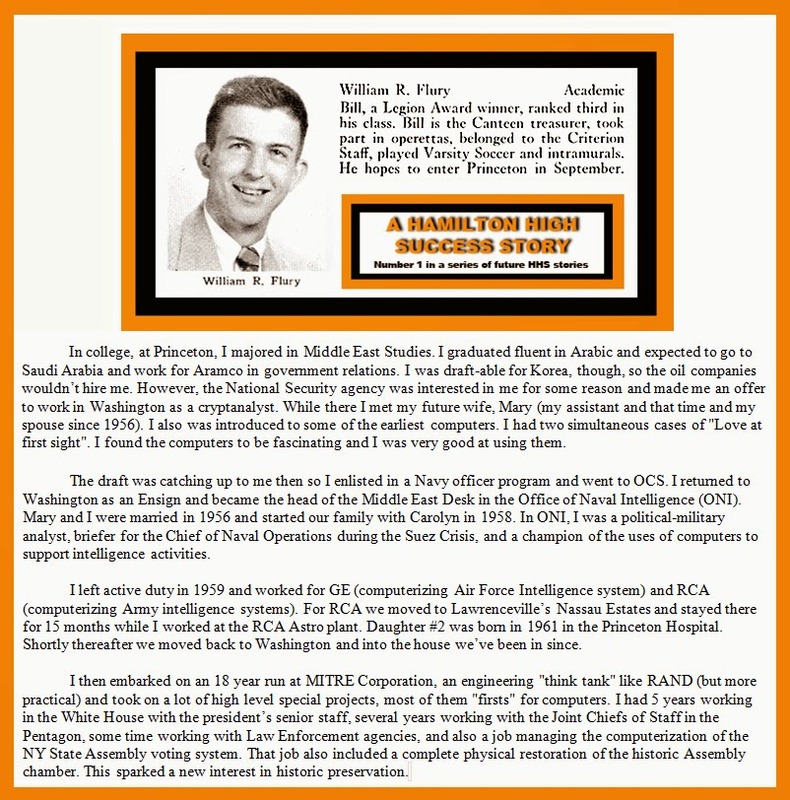 Bill Flury probably doesn't remember me, but I remember him quite well. He was a very soft spoken and humble individual. 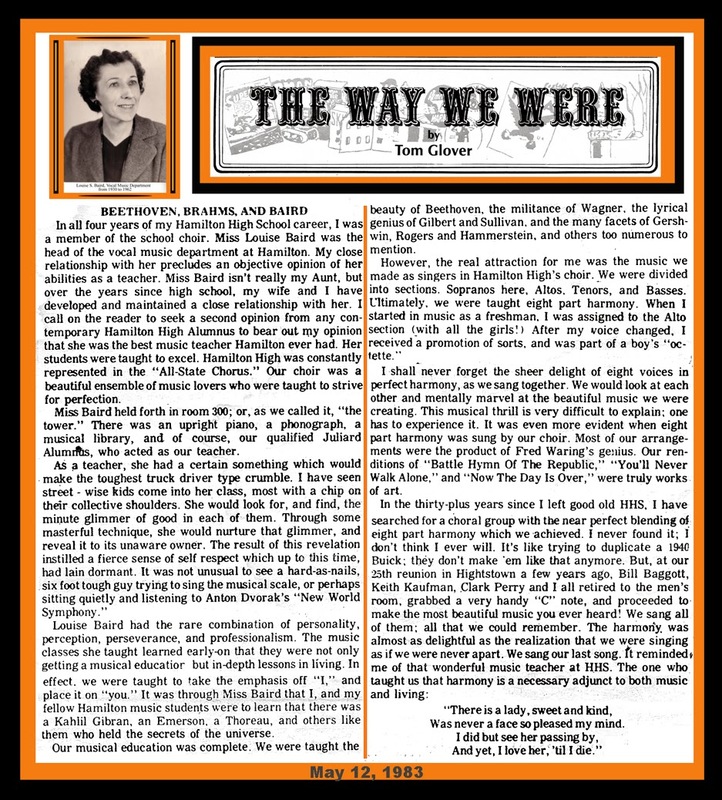 Here is an extract from the 1950 RETROSPECT wherein Bill tells his classmates of his distinguished career. We all had a teacher or teachers who had an influence on our lives long after we left the hallowed halls of grammar and high schools. For me, there were three: Miss Louise Baird, Miss Julia McClain, and Miss Ruth Margerum. Miss Baird and Miss Margerum were the two teachers who cultivated my lifelong interest in music, while Miss McClain encouraged me to focus on my natural talents of reading and writing way back in the 6th grade at Kuser School. These teachers instilled in me an incredible interest in these fields that has remained with me at the age of 80 plus. 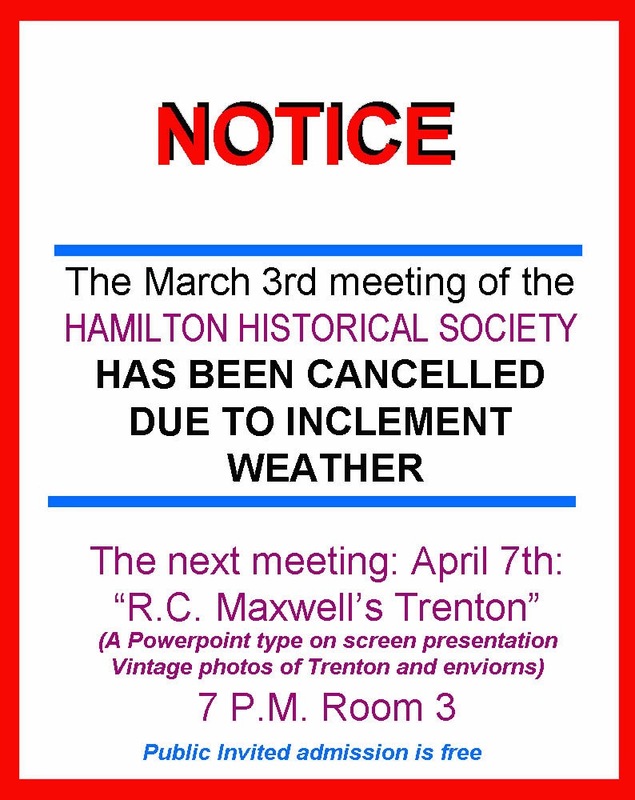 Tonight's Hamilton Historical Society meeting has been cancelled due to inclement weather. Mark your calendar for April 7th at 7 P.M.
Labels: HAMILTON TOWNSHIP HISTORICAL SOCIETY. Here's a link to a presentation I have been working on for quite some time. I hope to add to it as time allows. They were great years as we grew up in a much more innocent society. Coke was Coca Cola, we chased girls who were chaste, and we got a very well rounded education.